This week marks Emily’s 19th Birthday. We didn’t make plans for the day. The youngest had asked if we could light our big sister candle and hold hands. 3 of us will be travelling back from festivals. Which brings me nicely to our new plans. 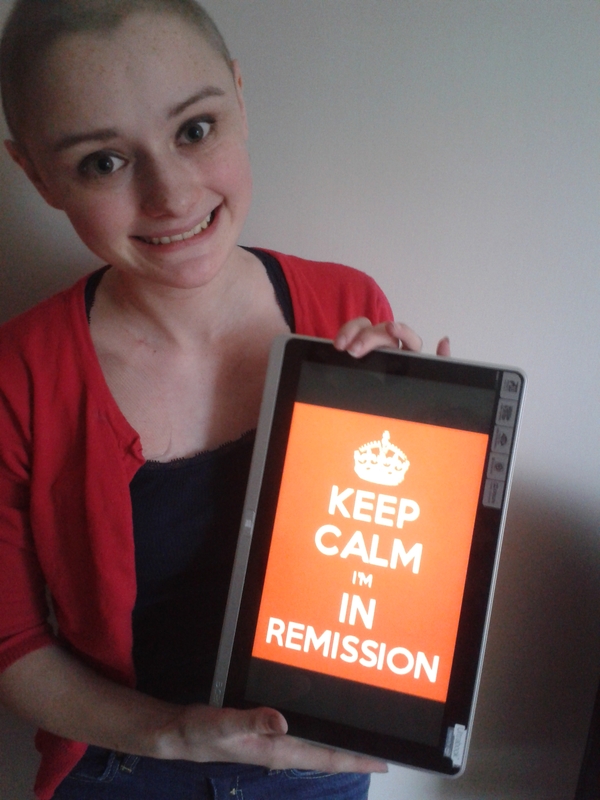 Emily posted a bucket list when she launched Remission Possible. A few things were achieved during the short period she was in remission. But during relapse and 300 days in isolation the list became a life list and grew significantly. It is a varied list of treats and challenges. Events and hopes she had for the future. She was always so positive for the future. I don’t plan on publishing the list just yet. Mainly because there are a few things that involve the support of others. This is very much my plan and I don’t want anyone to feel obliged to help. So i will start working through the list. 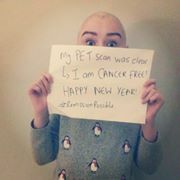 Inspired of course by Emily but also by Rachel Mcsheen who I met at the Teenage Cancer Unit. Recently she asked me while we were crying into a cuppa if I could think about a challenge she could slowly work towards in memory of Emily. She isn’t in a position to commit much time right now as she has a daughter who needs surgery and a hubby very ill. So its her fault if I drag any of you on this Remission Possible Mission with me. This weekend we ticked a few off the list. Festival really do things differently than I had imagined. The food was amazing. This was also the perfect opportunity to try gin for the first time. Me and Emily had discussed at length trying gin & gin fundraisers with the nurses and chaplain at the TCT unit. I have had opportunities to try it since her passing but this felt right time. So taking in the scenery of Brecon Becons with my cousins Steph & Cristyn and a fellow bather a man from London we sipped gin and tonic. It was far nicer than the sloe gin I tried while trampling through the mud later the same weekend. Another item ticked off the list was to go on holiday with Isaac her godson/ cousin. She was so proud when she was asked to be his godmother and missed him constantly through treatment. Toddlers and cancer treatment don’t mix. Watching Evan play with his 2,3 & 4 year old cousins it was clear to see Emily’s temperament living on in him. It also gave be time to think about my own childhood with my cousins and how that has grown through out our early years, clubbing years and now parenthood. It lead me to reflect on how much medical conditions have taken from us over many years. Our carefree breakfasts in the park and fluid mealtimes have been replaced by the need to control medical conditions and reduce risk. ( All the children have medical conditions) So the carefree camping was a real opportunity to kick back and relax. Although maybe a new tent would be a good idea. Myself and Emily may of looked very similar but things that excited her petrify me. So this is just a taster of what lays ahead. So a few water challenges for starters. Join in a boxing day/ New years day swim. We had planned this last year. Unfortunately Emily was unable to walk and was experiencing breathing difficulties in the cold So we decided to postpone until she could watch. Especially as she was upset about missing Cardiff Half. Paddle boarding. Oh forgot to mention I cant swim. I have a fear of water. Real sweaty palms fear. So should be fun. Takecare of yourselves and those you love. Normal chaotic week at Remission Possible HQ. One emergency trip to hospital and 3 medical appointments. So Drs and hospitals visits are still very much part of our daily routine. I am always grateful to the NHS. I have always classed myself as a NHS Millionaire. If we did have to pay for medical treatment I certainly wouldn’t still have our family home or have three cars parked outside. Not that buying another car had been on my agenda, but Holly conned me into getting her one. Full puppy dog eyes, hugs and kisses, screaming tantrums and full teenage strops finally wore we down. Anyone who has been within a mile of us in the past 6 months have watched this story line unfold like a plot from a soap. Like a tennis match its been back and forth. Will she/wont she. So instead of completing a charity walk ‘Pauls Walk’ or taking part in Snowden rocks as originally planned this weekend we took some much needed and appreciated ‘mother & daughter’ time and picked it up. So if parking wasn’t difficult enough with our road currently closed we now are a family of 3 cars and 2 parking spaces . So the latest ongoing saga will now be who gets to park on the drive. Think Hol might win as she doesn’t have a license to drive anywhere. But at least I will know where she is. We had news this week of another potential donor. They hadn’t been selected to donate and had felt a bit deflated. So I just want to share that this. We always knew Emily didn’t have a perfect match and there were other complications with her donor cells. But mystery spanish man was the only potential match world wide. So we went for broke. Only hope. No time to wait. We were talking weeks without transplant. Emily wanted everyone to find their bone marrow match she had thrown her weight and passion at supporting others campaign long before she knew she would need to find a donor. As a result some people have found themselves in situation were doctors are having a choice about which donor to go with. That really is an ultimate dream. So if you have signed up thankyou. If you have donated or in process of donating big thankyou. If you were a match but not chosen huge thankyou. This is the situation of dreams where people dont just find a match but drs have a choice between donors. There is still along way to go. Especially with mix ethnicity but thanks to campaigns like ‘help hollie’, ‘swab for margo’ and ‘shake for mike’ progress is being made. But remember we cant get complacent. There is always more work to do. So I intend to meet with my local MP this week to discuss what the Welsh Assembly can do. Our Ball planning is now in full swing. We are very pleased and honored to welcome Chris Wells-West onto our planning team. I wish to take this opportunity to thank her for her support and congratulate her on her recent MBE. Return your ball booking form. You need to be ticked off our spreadsheets. Please get someone to signup to Cardiff Half and join our bigmoose crew running for Emily. Email jeff@bigmoose.co if you need convincing or a motivational chat or to simply add your name to the list. This is one opportunity to work with some amazing runners and coaches. Just Google Rory Coleman and join in. Smiling through tears – laughing at memories. This weekend marks 2 months since Emily’s funeral. 3 months since she passed away and 19 years since my waters broke to have her. 13 weeks early. I went into hospital on Friday 13th June 1997 and I was told she would arrive in a few hours. On 22nd August she finally arrived. Yes I stayed in hospital all that time. She was trouble from the very beginning. There has been tears everyday since we lost her. I have tried to stay focused on legacy building. We have sold 189 Ball Tickets. This week Sir Terry Matthews rang me at the same time he was trending on Twitter to discuss the support Celtic Manor have given us & continue to offer. I visited BelleVue Nursery to look at the amazing activities they did to raise nearly £500. I started one to one counselling with Tenovus. She described us as a resilient family. resilient (of a person or animal) able to withstand or recover quickly from difficult conditions. So keeping busy. Trying to move forward. But it isnt always easy. The sympathy flowers have died. Cards stopped arriving, phone stopped ringing. The general senses is life has returned to some sort of normal. School run, food shopping, ferrying kids to and from activities. But in reality life is far from normal. The youngest cant remember Emily with hair, she doesn’t recognise photos of her. There is an empty seat at the dinner table. My life pre-diagnosis doesn’t exist. People cross the road to avoid me or point and whisper. I don’t want to be referred to as “the one who’s daughter died” I am still the same person just a bit sadder. We are still a family of six. I will always be a mum of four. The children have asked questions like “What do I say if anyone asks how many siblings I have”. Nobody wants to forget Emily. But sometimes it is too difficult to explain. We talk about her at home everyday. Things still belong to her. Its her bedroom. Her books. She is still here, alive and kicking in our hearts and memories. I am going to attempt writing a bit more regularly. Initially I was concerned I wouldn’t have enough content. However things at Remission Possible HQ are a bit hectic. I don’t have Emily’s flare or ease of writing but feel its important to keep you lovely people with us on this ride. I had been advised that after 12 weeks the ‘clouds would lift’ and I would feel better. well Saturday was 12 weeks and although our grief is causing all of us at home to cry at random things, several times a day, Saturday was definitely a remarkable day. We smashed through £4500 mark on just giving. Which for Evan ( age 12) was a really big thing. This is how. Hankies ready. A little girl named Elsie turned 1. I don’t know her or her family. But like many of you who followed Emily. They have been inspired to do something. They very kindly donated her birthday money instead of buying her gifts to our just giving page. Please take a minute to have a look at all the lovely comments they posted. Emily was such a foodie. So we went to Monmouth food festival. It was bitter sweet. A lot of tears before, during and after going but it was good to be out doing something we know she would have loved. Highly recommend peanut butter brownie with hot chocolate sauce & cream. Very indulgent. Her food tech teacher was there and we chatted briefly about Emily’s love of food and the coursework that she still uses in school to help other. Coursework we were glad to see the back off. During trial session at home our poor chickens couldn’t keep up with demand when doing the egg topic. Although we still haven’t lost the weight from the 50 crème Brulee she practised one week. The past 12 weeks have seemed like an eternity. We have been kept busy with contining to plan events that had started before Emily passed away. We kept our promise to volunteer for Bloodwise at the a world half marathon in Cardiff. We completed the Bloodwise charity canal walk. We pledged our support to Paula appeal by going along to a recent swob and fundraising event. But mainly Ball planning. 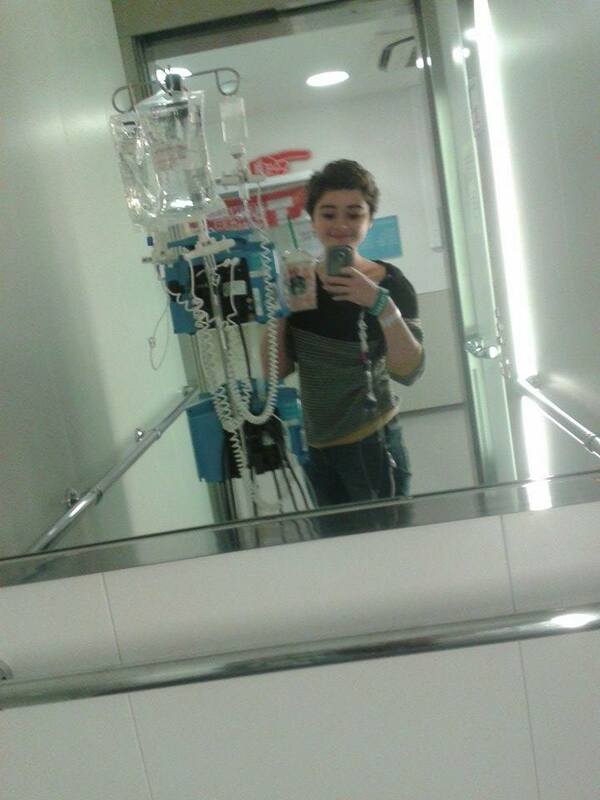 On Wednesday 8th March at 6:30am I rang the hospital, like I did every morning to see if Emily had a settled night. I was greeted with’better bring a notebook, she’s planning again’. She was indeed planning. She wanted a Ball. A reason to get all dressed up. (There were always dresses hanging in her hospital room) Have amazing food. Have a fun night out with family and friends. To speak in public about the difference we could all make. To inspire others and raise more money. So the Ball is booked at the Celtic Manor resort. The location she wowed the audience during the Mayor of Newport Pride of Newport Event. Master Chef finalised Larkin Cen will be designing the menu. His takeaway Hokki was a firm favourite during her time post transplant as they kindly agreed to deliver to the ward. Chilli squid was ordered everytime. We also have some entertainment that is being kept under wraps until nearer the time. We have had meetings at The WesternMail who have kindly offered to be our media partners. We have continued to develop our work with We Fight Any Claim, the first company that pledged their suport to find Emily a match and have suppored her fundraising work with Bloodwise. We have met with Bigmoose who have put together a running team for Cardiff Half marathon. visit www.bigmoose.co for more information. 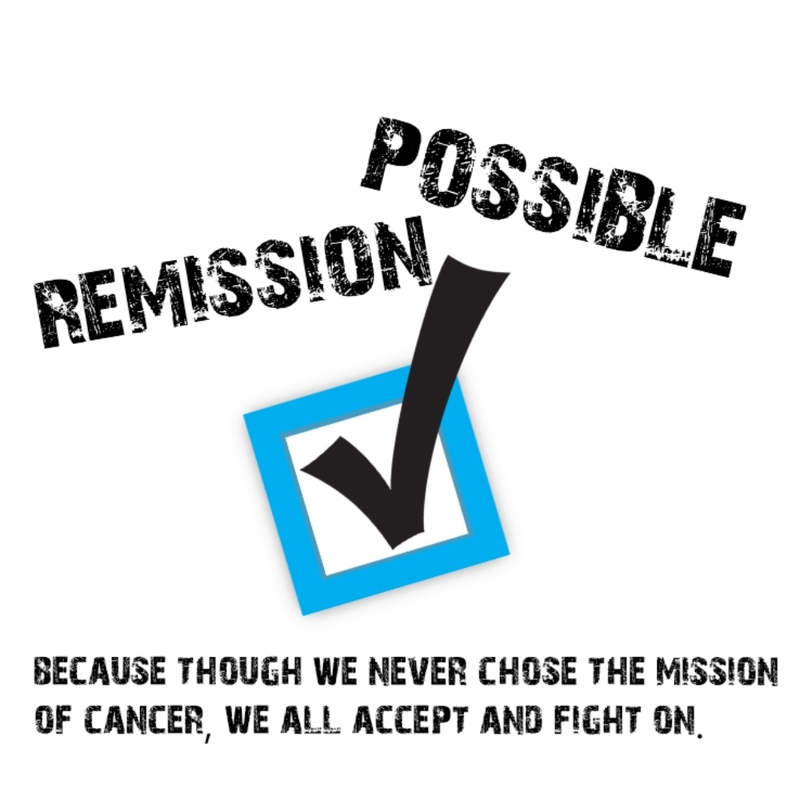 We are redesigning the website to reflect the new team approach and direction we will be taking Remission Possible. We dont believe we will ever know exactly what Emily was working on or who’s lives she had inspired or impacted but would like to share somethings we have discovered since she died. A young lady who Emily had been working with on encouraging the Italian government to look at the support charities can offer cancer patients has started making and delivering boxes to young cancer patients in Italy. Emily had written lessons plans that Mrs Kent her french teacher has been delivering to her year group about fundraising. These will now be used to help us design a schools program. The main aim is to educate others in how they can be more body aware as early diagnosis saves lives. Campaign to encourage more to give blood, register as a bone marrow donor and simply give someone a little time. We have also received news that a Croesceiliog pupil is a potential match. I will update you more in the next blog.